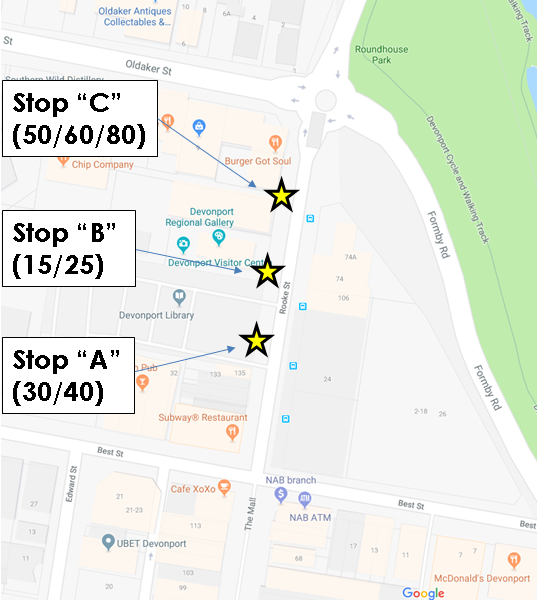 From Tuesday 29 January the Merseylink Interchange Stops A, B, & C will be relocated to the western side of Rooke St in front of the Shops, Paranaple Centre and Entertainment Centre. This move is expected to last 4-6 weeks while the old Harris Scarfe building is being demolished. Please take care in the area whilst demolition work is being carried out and cross the road at the lights.